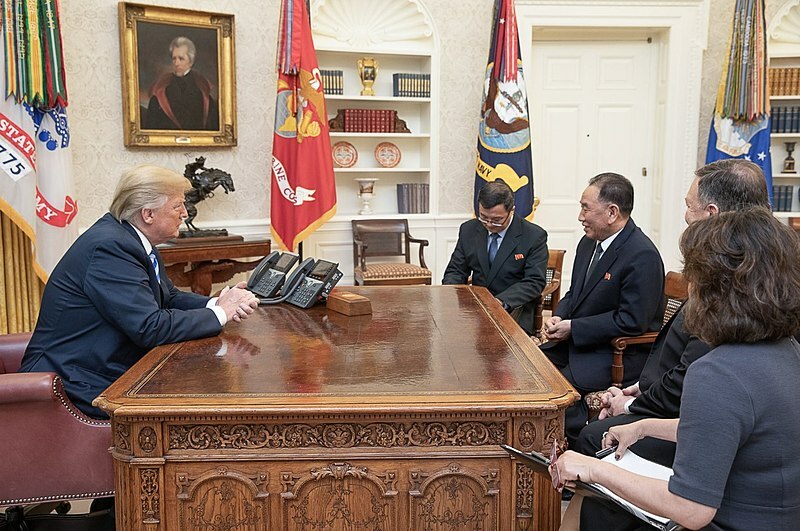 The arrival of a North Korean envoy in Washington highlights yet again the way in which the US and North Korea are talking to one another, under the shadow of nuclear conflict. The US Department of Defense’s recently released missile defense review, and the appearance of the President, highlighted a negotiating strategy trying to place US superiority again at the top of the docket. There is an ever-present tension between how North Korea projects its national identity to the world and what the international community, especially the United States, expects of it. To North Korea, it is a nation besieged, in need of its “treasured sword” of nuclear deterrence; through nukes there is peace. However, for the US and its allies, peace follows denuclearization. North Korea’s constant efforts at developing its nuclear capabilities and the expansion of its arsenals constitute a means to increase its leverage against those states it considers to be its enemies. Politicians and scholars have demonstrated the reason why DPRK is not willing to give up expanding its arsenal: the demonstration of force is vital for the regime’s survival. The DPRK is recognized as a threat to the Northeast Asian sub-region because of its active nuclear development and missile launches. However, it has still not received recognition as a nuclear state despite its claims of possessing nuclear weapon and successful missile launches. This essay examines the question of why the DPRK is not recognized as a nuclear state. In order to answer this question, it starts with examining the issue of the “legality” and legitimacy of nuclear weapons. 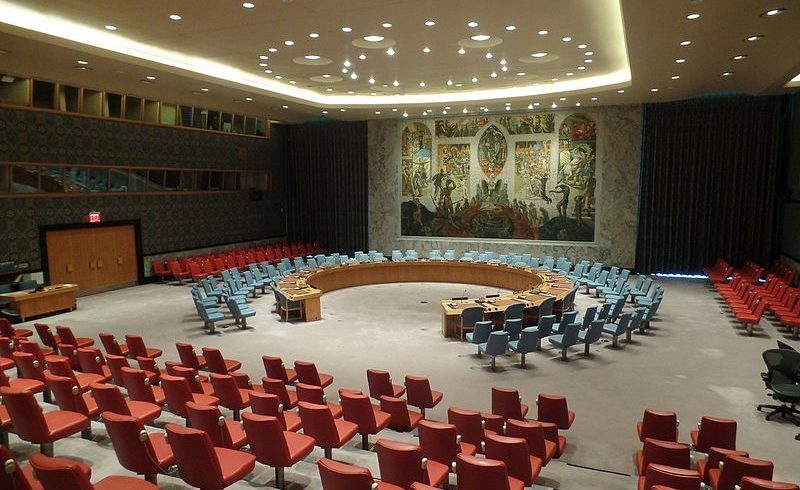 It then seeks to understand the claim of “self-defense” and the perceived “threat” against North Korea via the letter sent to the UN Security Council from the DPRK’s permanent representative to the UN. To answer the sub-question of from whom Pyongyang is seeking recognition as a nuclear state, this essay reviews the difference between “world society” and “international society”. It concludes that states will continue seeing the DPRK inside a bigger picture with other Asian countries together with nuclear capabilities. All these questions and ideas are linked to theories of conflict and violence. The bigger framework of this topic is related to the question of “why states take up arms.” Within this broader question is the smaller framework of why some countries are allowed to have nuclear weapons while some cannot, which is similar to the main issue of why the DPRK is still not a recognized nuclear state. Instead of answering these questions with international relations theories (Constructivism, Liberalism, Realism), this essay will approach the questions by bringing the readings of legitimacy, sovereignty, and international society, and draw empirical observations. Since the nature of the topic is heavily security focused, however some international relations theories will underlie the empirical findings. Legality of Nuclear Weapons | In 1996, the International Court of Justice (ICJ) handed down an advisory opinion requested by the United Nations (UN) General Assembly. On the Legality of the Threat or Use of Nuclear Weapons,1)Legality of the Threat or Use of Nuclear Weapons Advisory Opinion, (International Court of Justice, 1996). the court answered the General Assembly’s question: “Is the threat or use of nuclear weapons in any circumstance permitted under international law?”2)Ibid. The court’s answer to this question was actually very ambiguous. It was the first case of declaring non liquet (“it is not clear”) — in other words, there is no applicable law. Moreover, the jurors’ opinions varied – out of fourteen, five jurists appended dissenting opinions, while five others appended declarations (the other four were supportive of the court’s decision, yet, expressed controversial points). The conclusion of the court’s decision is that the court cannot say whether it is legal or illegal (non liquet – not having any point of reference in law to draw a conclusion). The most relevant controversial point is the dilemma of the survival of a state and legality of use. The survival of a state is linked to the state’s sovereignty in international law. Theoretically speaking, a state can decide what is important to it, what it wants to do, and what it is going to do with the reasoning of state sovereignty. Legitimacy is built based on these decisions. Self-defense Narrative to Build Legitimacy | The DPRK’s argument for developing nuclear weapons is directly targeted toward the US. Eight days before Security Council adopted the Resolution 2321 on November 30th, 2016, the permanent representative of DPRK to the UN sent a letter to the Security Council on the right to develop nuclear weapons “to defend itself against the US“.3)Permanent Representative of DPRK to the UN, “A Letter from the DPRK Transmitting a Memorandum on Its Right to Develop Its Nuclear Capabilities to Defend Itself Against the US,” in S 2016 988 (JaSong Nam Ambassador Permanent Representative of DPRK to the UN: United Nations Security Council, 2016). In the beginning of the letter, it says the DPRK “engaged itself in an all-out confrontation with the US imperialists to cope with their ever-worsening hostile moves and increasing nuclear threat against it.”4)Ibid. The strong expressions in this sentence show the relationship between DPRK and the US. The first part of the letter argues that the US “suffocates” the DPRK to make North Korea’s political system collapse. Supporting the argument are examples from official documents. The second argument is that the US military cooperation with the ROK and Japan is a threat to the DPRK. The letter lists all of the military powers and exercises that the DPRK recognizes as a threat. The third argument is against the sanctions adopted by the UN. The DPRK calls them “inhumane,” stating “they are vicious hostile acts seeking to suffocate […] undermine the people’s livelihood and ultimately isolate […].”5)Ibid., 8. Based on these three arguments, the DPRK claims that it is the “legitimate right of the DPRK” to develop nuclear weapons and it is “a part of practical countermeasures.”6)Ibid., 9. At the very end of the letter, it says: “The US should face up to the new strategic position of the DPRK and take actual measures to show that they are willing to scrap its anachronistic and hostile policy and nuclear threat against the DPRK”.7)Ibid. This sentence shows that the DPRK views the US as having a strong offensive position that is considered to be a threat to the existing system, thus, it is standing up against it with an offensive mechanism and continuing its nuclear development. Threats […] are a function of power, proximity, specific offensive capabilities, and aggressive intentions, and the expected response to an emerging threat is to attempt to balance against it.8)Stephen M. Walt, “Alliances in a Unipolar World,” World Politics 61, no. 01 (December 18, 2008). The word “balance” in Walt’s definition can be linked to “the law of proportionality” in the concept of jus ad bellum in international law, which is a set of criteria to decide whether or not to engage in war. The law of proportionality, in other words, entails taking similar measures. Proportionate decisions need to be made even in the case of engaging in war. The US military alliances with ROK and Japan can be considered as a threat in light of the definition Walt gave – military training of the allied countries in geographic proximity and the decision to deploy US missile defense system in ROK (nematode the Terminal High Altitude Area Defense, or THAAD) is a threat to DPRK.9)The deployment of missile defense system in ROK is mentioned in the letter of DPRK to the UN. The other neighboring countries, China and Russia, are also opposed to the deployment decision between the US and ROK. In that sense, it is considered to be a reasonable argument. Furthermore, the distinction between offensive defense and defensive defense, that in this case is the missile defense system, is unclear as some of the defensive defense has the possibility of carrying an offensive weapon with a slight tweak of technical alternatives. This is why Russia is voicing up in this matter and its position against the military alliances of the US with the NATO and in East Asia is very strong. Although the “threat” is a reasonable argument because of the joint military practices, developing nuclear weapons as a response to it cannot be considered as a reasonable measure according to the definition of Walt and the law of proportionality in international law. Going back to the previous point on the discourse of reacting with offensive defense, even though DPRK constructed its argument and put out the discourse of fighting against its utmost enemy, the US, developing nuclear weapons is an extreme reaction. Moreover, the way states understand the use and purpose of nuclear weapons has evolved from the offense versus offense structure already (in terms of nuclear weapons) – from the Cold War to arms race to non-proliferation treaties and reducing the nuclear warheads. The DPRK’s political structure, under the succession of leadership, did not move forward with the rest of the world and that is why it is continuing such discourse, which is very far from the current international agenda on nuclear weapons – for instance, non-proliferation and safeguards.10)Michael Quinlan, Thinking about Nuclear Weapons (n.p. : Oxford University Press (OUP), 2009). tak[ing] individuals, non-state organizations and ultimately the global population as a whole as the focus of global societal identities and arrangements, and puts transcendence of the states-system at the center of IR theory.11)Barry Buzan, From International to World Society? English School Theory and the Social Structure of Globalisation (Cambridge: Cambridge University Press (Virtual Publishing), 2010). When Buzan defined it, he marked that this is a revolutionary definition and explained “revolutionism is mostly about forms of universalist cosmopolitanism”.12)Ibid. In other words, this term covers generally the whole world. In that sense, “world society” was used in the previous sections when describing the DPRK as part of the global world. Diverse cultures, languages, and identities exist in different parts of the world and in different countries, thus, generalizing the entire world is nearly impossible; it does not require a country to fit into a certain standard because there is no universal identity. Theoretically speaking, this means that as a part of world society, the DPRK’s identity – who it is in its nature, how it is functioning as a group of people et cetera – is respected by the rest as it is. This idea can be tied to the legitimacy discussed above. However, each organ of the world society belongs to a certain group and becomes part of a smaller society; geographical groups, economic groups, political groups, and so on. The DPRK acceded to the UN and became a part of the international society where 192 other countries belong – officially, a total of 195 countries exist in the world so the UN is considered to be an international society that is analogous in size to world society. At this point, one may query what makes the UN, an international society, different from the world society if the size is nearly the same. According to the differentiation made by Buzan between the world society and international society, “international society” is “about the institutionalization of shared interest and identity amongst states, and puts the creation and maintenance of the shared norms, rules, and institutions at the center of IR theory.”13)Buzan, From International to World Society? The key word in this definition is shared – sharing in interest, identity, norms, rules, and institutions. It provides a common ground for the parties to act in the same manner as an institution. While the world community is not bound to a signed document that clarifies what the shared norm is, the international community (as in the UN, for example) has a clear definition of what the institution is standing for. The UN Charter is the structure of the institution and the member states of the UN all had to agree to adhere to the Charter when they first became a member state of this international community. As most of the countries in the world are part of the UN, the world society’s norms basically stand on the same foundation with the norms of the international society. “international society” should refer mainly to a more functional and procedural understanding of a society based on the maximum pluralism values, whereas “community” implies a more demanding understanding, referring to a material union closer in values and actions […] the broad review of literature shows that “international community” is not only more customary in use […].14)Tomasz Wildlak, From International Society to International Community. The Constitutional Evolution of International Law (n.p. : Gdańsk University Press, 2012), 18. Wildlak asserts that “international community” is more used widely and it emphasizes the values. Moreover, earlier in his book, he mentions that “international community” is a legal term. Legality, Legitimacy, and Why Nuclear Ambitions Succeed | Each country with the nuclear capabilities and legitimately recognized as a nuclear state has different political leverage, or power, and foreign relations. Thus, finding similar cases to examine how they claimed their nuclear powers and how other countries accept it is difficult. On the Asian content, for instance, China is one of the five recognized nuclear states whereas India is not. Many scholars identify the reasons of India’s nuclear development success as: i) its political balance between Russia and the US, ii) its diplomatic skills that enabled it to enhance the bilateral relations with the five nuclear states, and iii) its non-offensive nuclear policies.15)Or Rabinowitz, Bargaining on Nuclear Tests: Washington and Its Cold War Deals(Oxford, United Kingdom: Oxford University Press, 2014), Chapter 8. It (DPRK) has sought to overcome a chronic lack of external interaction capacity (international relations theorist Barry Buzan’s term) by acquiring or threatening to acquire nuclear weapons, hoping thereby to buttress the state and governing regime’s capabilities and chances of survival.16)William Walker and Nicholas J. Wheeler, “The Problem of Weak Nuclear States,” The Nonproliferation Review 20, no. 3 (November 2013), 417. This is certainly the opposite to the direction India took. The case of India makes it clear that the nuclear issue needs to be solved with diplomacy, not with “threats,” to gain legitimacy by the community. The grouping of the terms of similar concepts – legality and legitimacy, self-defense and threat, and world society and international society – is probed through contextualizing these concepts to a concrete example of DPRK to understand the complications behind recognizing a state as a nuclear state; it is not simply about the state’s capabilities. In conclusion, although two nuclear tests were conducted and many missiles were launched in the past years, DPRK cannot be recognized as a nuclear state for the following reasons: i) illegitimate despite the sovereign power because it does not fulfill its obligation as a part of the world society ii) illegitimate because the development of nuclear weapons is not proportionate to the level of threat it receives, and iii) illegitimate because it is against the norms of the international society it belongs to. The increasing number of resolutions adopted by the UN Security Council indicates that the UN is adjusting the international order and solidifying its values.17)Hilary Charlesworth and Jean-Marc Coicaud, Fault Lines of International Legitimacy(Cambridge, United Kingdom: Cambridge University Press, 2009), Chapter 3. It hints that the way to be recognized as a nuclear state starts with adhering to the values of the community it belongs to. 1. ↑ Legality of the Threat or Use of Nuclear Weapons Advisory Opinion, (International Court of Justice, 1996). 3. ↑ Permanent Representative of DPRK to the UN, “A Letter from the DPRK Transmitting a Memorandum on Its Right to Develop Its Nuclear Capabilities to Defend Itself Against the US,” in S 2016 988 (JaSong Nam Ambassador Permanent Representative of DPRK to the UN: United Nations Security Council, 2016). 8. ↑ Stephen M. Walt, “Alliances in a Unipolar World,” World Politics 61, no. 01 (December 18, 2008). 9. ↑ The deployment of missile defense system in ROK is mentioned in the letter of DPRK to the UN. The other neighboring countries, China and Russia, are also opposed to the deployment decision between the US and ROK. In that sense, it is considered to be a reasonable argument. Furthermore, the distinction between offensive defense and defensive defense, that in this case is the missile defense system, is unclear as some of the defensive defense has the possibility of carrying an offensive weapon with a slight tweak of technical alternatives. This is why Russia is voicing up in this matter and its position against the military alliances of the US with the NATO and in East Asia is very strong. 10. ↑ Michael Quinlan, Thinking about Nuclear Weapons (n.p. : Oxford University Press (OUP), 2009). 11. ↑ Barry Buzan, From International to World Society? English School Theory and the Social Structure of Globalisation (Cambridge: Cambridge University Press (Virtual Publishing), 2010). 13. ↑ Buzan, From International to World Society? 14. ↑ Tomasz Wildlak, From International Society to International Community. The Constitutional Evolution of International Law (n.p. : Gdańsk University Press, 2012), 18. 15. ↑ Or Rabinowitz, Bargaining on Nuclear Tests: Washington and Its Cold War Deals(Oxford, United Kingdom: Oxford University Press, 2014), Chapter 8. 16. ↑ William Walker and Nicholas J. Wheeler, “The Problem of Weak Nuclear States,” The Nonproliferation Review 20, no. 3 (November 2013), 417. 17. ↑ Hilary Charlesworth and Jean-Marc Coicaud, Fault Lines of International Legitimacy(Cambridge, United Kingdom: Cambridge University Press, 2009), Chapter 3.